2019 has approached and as you look back on 2018, there are definitely some areas of your business that you would like to see improved in the new year. This could be a better financial performance, improved products or services, increased sales, or more customers. Whatever your goal may be, you will need to create a plan that moves your business forward in the year 2019. You will need to apply the following 25 steps to improve your business in 2019. If you are operating a business, then you already know that your business plan is the strategy that guides your business’s action. You need to review your plan to ensure that your business is currently aligned with your outlined vision. This will help you make the necessary changes to ensure your business is moving in the right direction. Your business plan will need to have an outline of the following information to ensure your business is built to be successful. A description of your business does. A thorough analysis of the competitors in your industry. The managerial structure of your business. A description of the products or services you sell. A complete description of your marketing strategy. All this information is highly important for your business in terms of performance and financial strength. This is especially true if you want to receive any financial assistance from a bank or investor. Your business plan will need to outline your business operations for at least five years, not just your first year in business. When your are seeking a loan, the following information will be needed by lenders in order to determine if your business is loan-worthy. You do not want to make the loan process longer than it already tends to be. Have all this information together before stepping in the bank to move the process along quicker. 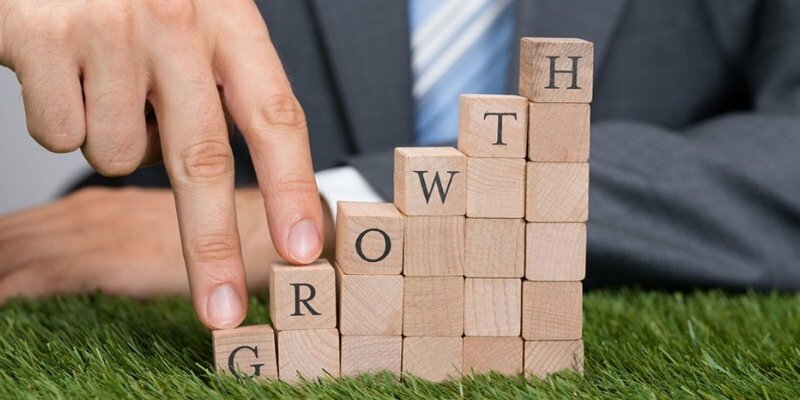 Although you want to invest money into your business to grow, you need to ensure that growth leads to more money being generated for your business. While growth is definitely important, you will need to focus on ensuring your business is profitable. Growing too rapidly can create cash flow problems that cannot be solved because you do not have the money to support your growth. You will need to thoroughly analyze your financial statements to ensure that your business is operating in the black and not in the red. Review your expenses. Make sure your expenses are being spent on income generating activities and not nonessential waste. Also, know the difference between revenue and profit. You can generate a great deal of money but not have any left over due to high expenses. Reduce your expenses to increase your profits. When January 1st of 2019 comes, you need to have a savings goal in place and start working on it from day one. Do not make your goal impossible. This will only make you give up on it quickly due to its difficulty. You want to ensure that you have the cash reserves to preserve your business just in case you face any setbacks that slow your cash flow. You need to take the time to evaluate the performance of your entire business. You will want to do this to see which sections of your business are performing well, and which sections are underperforming. Even if you have sections of your business that are performing strongly, the weaker portions of your business are still causing your business to suffer. They will slow down your entire process, causing you to lose time and money as a result. You need for every part of your business to perform well. As a business owner, you should have the following insurance policies: personal liability, property, workers compensation, home-based, product liability, vehicle, interruption, and health insurance. You will want to review all of these policies before the start of the year. Check the coverage that you are paying, as you may not need, or there may be better options available from competing companies. You also want to be sure that you are fully covered. Not being so will result in you having to pay hefty penalties. Even though there are not significant changes every year, it is important that you are aware of any direct and indirect tax rules and regulations which will affect your business. Although the IRAS website somewhat keeps you updated about any changes, it should not solely be relied upon. Get in contact with an accountant who focuses on taxes to learn about any updates that could affect your business. You will need to offer salaries that are consistent with industry standards. But, your salaries will differ slightly based on your location, as cost of living is different across locations. Regardless, you will want to offer competitive salaries so that you attract the best talent to your company. The end-of-the-year is the best time to start organizing your business. The benefits received from organizing your business include which saving time and money. These are two assets which are beneficial to all businesses. You may also be able to donate computers (including computer hardware, software, accessories and peripherals such as monitors, printers, and scanners) which your business no longer has use for. These donations made to prescribed educational, research or other institutions and all IPCs should be able to be deducted from your corporate taxes. Business is never constant, so you will never know when you need to borrow money due to a cash flow problem or for growth initiatives. The end of the year is the best time to start researching and comparing financial lenders that could assist in with any business needs. Doing the research beforehand allows you to apply for the needed loan as soon as you need it without having to endure the long process of getting your information in order and processed. You may need to inject capital to your business at any moment without warning. If your bank has issued you a line a credit, it is best to use it, rather than letting it sit there. Your bank will feel better about issuing you the credit line if your business uses the credit. Invest into growing or improving your business. This will help your business generate more money in the long-run. During the end of the year, take the time to review all of the products and services you offer. The reviewing of these products and services allows you to identify which products or services are not generating any money. You will need to get rid of these underperforming products and services and focus on those that are worth keeping. You also want to ensure that your product and services are developed to perform well in the future. Successful businesses are focused on generating streams of revenue that can be counted to occur monthly. Nothing is greater than having a predictable cash flow, not having to deal with worrying about late payment, and saving your business time and money. You will need to establish ways for your business to start generating recurring revenue in 2019. For example, you could offer a membership program or training services that have a monthly fee. Your billing will need to be setup to automatically invoice your clients monthly. Saving money is necessary when you never know when your business will go through some rough patches. These are your rainy day funds. It is beneficial to set your account up so that during the month a certain amount of money is directed to your business’s savings account. This keeps money out of your checking account so it is not spent. You never want to be content when it comes to business. This is how your business puts itself in the position of failing. Your business is always looking for a competitive advantage and you must be doing the same thing. You will need to determine how you will increase gross margins, how to get the most use out of your profitable products or services, and how to target high-end customers who understand value over pricing. When you are requesting to borrow a large sum of money, the collateral you have to offer will stipulate if your loan will be granted. As a new business, assets such as equipment and real estate may not have been acquired. In this case, the collateral you will have to offer will include your home or vehicle. It is better to have these assets available if you want to increase the chances of you getting approved for a loan. You will view your products and services as having very high value. Conversely, your customers will see pricing before value. Therefore, you will need to determine how you will persuade your customers to purchase the more expensive products or services you offer. One way to do this is to allow people to enjoy your products for free. You can choose to make money with your services, especially when serving businesses. Your free plan needs to be an appetizer to the full course. Your paid plan should provide expert advice that is tailored to the customer’s needs, the issues they are dealing with, and their plans for future growth. This will help set you apart from your competitors. This is the time to start implementing the action of monitoring your monthly expenses. This will mean tracking every purchase and expense your business makes during the month. You will begin to see where your money is being spent, and if you need to cut back on expenses that are a waste of money. Another thing you will be monitoring is your account from cyber attacks. Hackers are always trying to tap into business accounts — pulling large sums of money out, or stealthy pulling little by little out. This gives you control over your money and helps you prepare a budget that lets your money work for you . You will need to start preparing a budget that works to build your business. You will need to create a realistic budget that helps you get your finances under control by getting rid of any unnecessary spending. Budgets work towards keeping your spending under control helping you reach the saving goals you have created. You can use different budgeting methods which include incremental budgeting, zero-based budgeting, and top down budgeting. You will want to learn about each method and determine if one would make sense for your business. Cutting costs seems like something you should do when your revenue is down and you are experiencing cash flow issues. This is not necessarily true, so it is best to see where costs can be cut immediately. Get rid of those expenses that seem like a waste of money, rather than something that is adding to your business. As a business, you use many different services to keep your business operating without a problem. This includes insurance policies, your credit cards, your bank, your suppliers and your vendors. You will want to start comparing the prices your current providers offer to their competitors. Doing so will probably help you find a better deal than the current one you have. You can choose to negotiate with your current providers for a better deal, or make the switch if they do not comply. Do not just spend money on marketing without analyzing if your efforts are bring you a great return. Determine which marketing methods are working and which ones are not creating any leads. Eliminate the underperforming marketing activities and double down on those that work. You want your marketing to lead to more sales being generated for your business. If this is not occurring, you are wasting both time and money. Organization in your business is very important. Keep your records organized with an effective system. For example, an organized system allows you to see which invoices have been paid and which are pending. You also have your records organized and filed away in case you are audited for tax purposes. Take advantage of cloud systems that allow you to keep your records stored in one convenient place that can be accessed from anywhere. This is one of the important moves that should be made during the new year. These are professionals who know how to effectively prepare your finances. This includes helping with your taxes, financial planning, and business budgeting. Try to set up your appointment with these people before tax season occurs and they are swamped with customers. As 2019 has approached, you will need to ensure that your business is structured to receive the most out of the new year. You do not want to have your business operating in the same position instead of growing yearly. 2019 needs to be the year that your business performs better than it ever has before. Focus on improving your business. Leave the rest to us. Rikvin’s expertise is unrivaled in Singapore. With 25 years of know-how in company incorporation, accounting, tax, payroll and immigration services, you can count on us to be your dedicated one-stop business solution.